Five opportunities to reveal China beverage market by consumers beverage buying behaviour. Kantar Worldpanel, the global market leader in consumer panels, reports 0.2% value growth for beverage in-home consumption in the 52 weeks up to March 25th 2016. This figure marks a decline from last year’s 1.3% growth rate. Beverage stagnancy mainly due to fewer consumers’ purchasing these refreshing drinks while average consumption has been decreasing as well. All major categories, including RTD Tea, Juice drinks, and CSD, have been struggling in driving sales over the past 2 years. 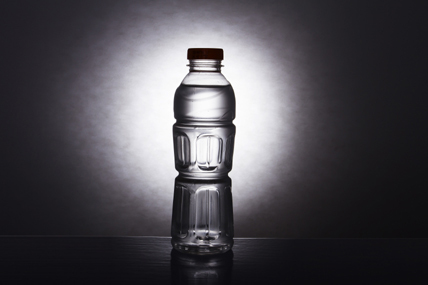 Rejuvenating brand performance becomes increasingly challenging in the beverage market. Health-driven features will boost product performance: in the current challenging market, packaged water, light taste drink, and 100% Juice still can out-perform total beverage in sales growth. Consumers’ needs for low sugar with natural instead of artificial ingredients can be applied to all food and beverage products. The huge success saw in light taste juice brands have proved that even for beverage, it's time to ‘lose some weight’ in sugary sweet tastes, and to deliver a lighter, more refreshing image. With increasingly higher income levels, peoples’ desire for a healthier lifestyle has prompted the popularity of premium, health focused brands. Transboundary Innovation Helps Gaining from a Wider Space: taking light taste juice products as an example, Kantar Worldpanel reports that only around 10% of its annual growth comes from direct switching from other juice drinks, and over 50% are from all other kinds of beverage drinks, such as flavoured milk, packaged water, sports and vitamin drinks, and so on. Another example is Mizone, a light taste vitamin drink with various fruity flavour, whose source of growth also comes from all other categories beyond sports/vitamin drinks. There are several successful products which can be described as ‘water+’ products, which are generally of features combining water with juice, functional drinks, and even probiotic yogurt flavours. These transboundary beverage products can fulfil consumers’ needs on both health and taste at the same time and in one single bottle of drink. Small packs deserve more supports to grow margin: especially for categories with comparatively limited headroom for innovation, or manufactures who are constrained by organizations’ time consuming process of new launch approval, pack management is one of the areas that can take quick action. Kantar Worldpanel has observed that some players managed to growth business through switching sources from multi-serve large packs to small multi packs, like Coca Cola did in CSD, and Vita in RTD Tea. Small packs echo with consumer’s needs on portion control while the lower unit price makes it more affordable to consumers who have pocket money concern. Moreover, small packs are more appealing to lighter buyers, and more efficient to encourage new trials. Multi-packs are more positioned as a replacement of multi-serve large packs to grow sales, moreover, they can better fulfil consumer’s needs on products’ freshness, and individual needs on different occasions as well. Go to small formats to reach more buyers from younger generations: small formats such as CVS and groceries differentiate themselves against others through convenience and flexibility, and have out-performed total average on sales growth to become the most promising formats in China’s beverage market. Ambitious foot print expansion and increased investment in innovation indicate huge potential for future growth of these channels. Kantar Worldpanel reports that different channels appeal to different gender and age groups in the beverage market, which can be utilised by manufacturers in channel strategy and personalized marketing campaigns. Male consumers prefer small formats more than females, while younger generations show more preference towards convenience stores and groceries for on-the-go occasions - enabling CVS and groceries to perform as effective platforms to run marketing activities or pilot new launches targeting at younger consumers. Seize afternoon tea break time to drive impulse purchase: In restaurant, packaged beverages go mostly with lunches. However, in CVS and groceries, peak time appears in the afternoon, when a refreshing of mind or a tea break is needed. Among all these purchase occasions, around 60% of the times the product is for consumers themselves, while for the rest of the occasions, they buy it for sharing with/for others. This figure varies across different categories, and amongst different buyer groups. Take bottled water as an example, 67% of the occasions are ‘for myself, while in Juice, this figure is 43%. The younger the generation is, the higher this ‘for self’ proportion become, which is one of the general patterns observed across beverage categories. Meanwhile, pack size varies among these different ‘for whom’ occasions – smaller packs more for self, bigger packs or multi packs more for sharing. Tactics concerning products, pack sizes, and promotion mechanisms need to be tailored when beverage manufacturers making channel strategies to fit into each targeted demand occasions. Strong physical availability build-up and market coverage expansion are 2 most important reasons for history success for many beverage brands in the last decade. However they now will have to look for new ways to stimulate volume growth. The beverage market in China is expected to grow in the years to come, provided continued investment in innovation drinks and value-added propositions that respond to changing consumer demographic and lifestyle changes.